Shure SM11-CN Model Lavalier Microphone, c. 2015. 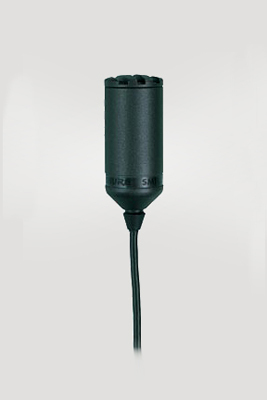 Lavalier omnidirectional dynamic low impedance microphone. Comes with a tie clasp assembly, a tie tack assembly, a connector belt clip and a carry bag.